Do you have to select your classes soon? Here’s a great guest post from Lee Burgess on what to think about as you’re deciding! If you are a 1L (or a 2L) it is that time of year when you are starting to decide what classes to sign up for for next semester. I had no idea where to begin. Look up your graduation requirements. If you don’t know them by heart, make sure you look up the graduation requirements of your school. What are you required to take? Do you have to complete a writing requirement? These are important questions to ask yourself to make sure that you won’t have any issues regarding graduating on time. Typically, graduation requirements can be found online or in your student handbook. And if you aren’t sure, speak to the registrar or the dean’s office. They are there to help you. Take quality professors that you will enjoy learning from. When I asked my professor/mentor in law school what classes I should take, he gave me some sound advice: “It isn’t so much about what you take, but who is teaching it.” He recommended that I take classes from professors I had heard were effective instructors, were engaging, or that I knew I would learn from. I think that is great advice. Sure the class may be in forensic evidence, but if you learn a ton from it, it is likely worth it! Look at the final exam schedule. Many students forget to do this as part of their scheduling process and then — uh oh — they make a bad discovery too late in the game to fix anything. We know that, unfortunately, performing successfully on final exams is the key to law school success (from a grades point of view at least). 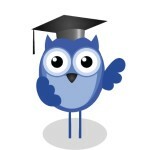 So you want to make sure that the final exam schedule is reasonable to accomplish that goal. Perhaps you should be worried if all of your exams are within a few days. Or if they are really close together, perhaps you need to follow up with your school to see if you can request an alternate day for testing. The final exam schedule shouldn’t be the most important thing when picking classes, but it needs to be considered. Check the requirements for clerkships and externships. Many students will want to work as a law clerk/extern during law school. Often these jobs require that you have completed evidence before you can qualify. So make sure you take evidence before your desired clerking semester. It sounds simple, but it is important to think this through. Look at the draft spring semester schedule. Not every class is offered every semester. When making decisions, it is often important to find out if the class will be offered again next semester or the next year. Think about what bar electives you want to take. 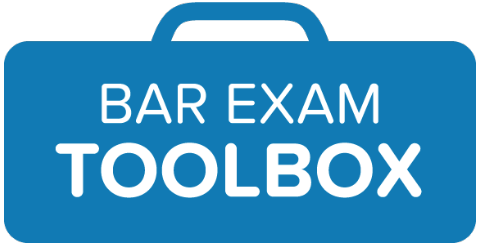 That nasty bar exam is pretty important and you want to take time to consider which bar electives to take. You may not need to take all of them, but you should at least take quite a few. And don’t leave all of them until the end — take a few each semester in law school. Take something that interests you. The beauty of not being in your first semester of law school is that you can decide what you want to take. Take at least one class that sounds interesting to you. 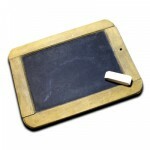 It will make law school more fun and you may learn more about the type of law you want to practice. Decide whether or not you want to work. If you are planning to work part-time during the semester, you want to think about how to allow yourself time to do this. That may mean taking more night classes or lumping your classes together — leaving Tuesdays and Thursdays, for example, for work. Are you worried about your GPA? I have to say I hate mentioning this, but many students are worried about their GPA. If you are trying to get your GPA up, you want to look at whether or not your school has different curves for different classes. Many elective classes are graded on a less strict curve, therefore allowing the professor to give out more grades in the A to B range. Thus it is easier to get a higher grade and give that GPA a boost. Be reasonable. I will be honest — I overscheduled myself one semester in law school. I took an overload of units, including two four-unit classes; I was on the Law Review, was a TA, and I was interviewing for big-firm jobs. That was too much. I was overextended and didn’t enjoy law school as much as I could have (nor did I get as much out of my classes as I could have). So be reasonable. If you are going to be interviewing for jobs, or competing in a moot court competition, perhaps that is not the appropriate semester to take an overload of units! One more thing I learned the hard way: Pay attention to how many papers you’ll be writing. Taking three paper classes in a semester (each with 20-30 page paper requirements) was a seriously bad idea! I thought papers would be easier than exams, but not when you have to write three of them, and still study for exams. Too much! What did you learn along the way about picking law school classes? Share your wisdom with those in need! Starting to freak out about exams? 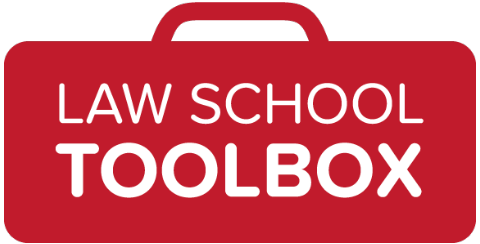 Check out Exam Prep 101 or the Law School Toolbox (a joint project from me and Lee). Not on our mailing list? Sign up for our weekly newsletter, and you’ll be in the know. Image by Plusverde via stock.xchng.